Are you looking for superior medical care near your home? Medics USA can help. 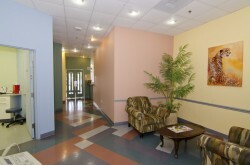 Our friendly staff will make you feel welcome, and our clean, modern facilities will let you know you’re in good hands. And we are affordable and accept most insurance plans, including Medicare. Click here to find a location near you. Regular checkups are one of the easiest and most effective ways to keep yourself and your family healthy. A primary care provider can help you monitor your health, answer your questions, implement preventative measures and treat existing health issues. If you have a life-threatening emergency, call 911. If you’re faced with a medical emergency that is not life-threatening, our urgent care service is an excellent way to get the treatment you need without the hassle of emergency rooms. Whether you are local or just visiting the area, urgent care is an affordable, convenient and quick way to get treatment If you have a sprain, cut, or child with a rising temperature. Occupational healthcare services can keep your employees healthy, happy, and productive. Our program offers physical exams, drug and alcohol testing, and more. Travel care makes it easier for you to protect your health when you’re on the road or far from home. We offer vaccines that will keep you safe from yellow fever, typhoid, hepatitis or malaria Wherever your travels may take you, our doctors can give you the vaccinations that are appropriate for the area you’ll be visiting, and give you the most up-to-date health advice. If you’re planning on travelling soon, be sure to get your vaccinations at least 60 days in advance. Community care is designed to help families and individuals without health insurance. We work with you so that you can get the medical care you need. Medics USA is happy to serve the community, our local employers, and all the families who live here. Start protecting your health today—visit our website and book an appointment. Or drop any of our neighborhood offices. We welcome walk-ins.